If you have been having some persistent health symptoms, and you have searched online on the possible medical conditions such symptoms are associated with and found out that a medical doctor with expertise in a certain medical speciality will be the best person to consult, how do you go about finding that doctor (called a consultant) in this part of the world? The nearest and most cost-effective place to go to is a teaching hospital because that is where you will find doctors with years of expertise in different medical specialties, and your case may end up needing the attention of doctors from more than one medical specialty. 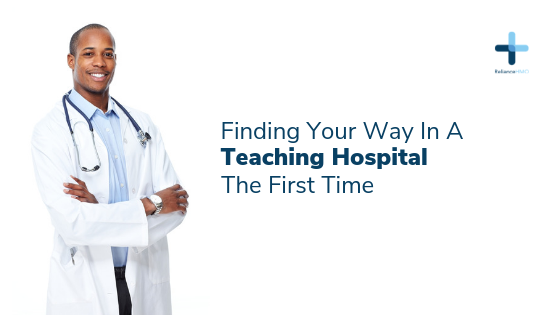 But you don’t just walk into a teaching hospital for the first time and see the right specialist immediately, unless you were referred to that medical specialty by a doctor in a lower cadre hospital (a general hospital, private hospital or a primary health care centre) or you are a known patient of the specialty who came for a review. If it is not an emergency where the person is rushed to the emergency department of the teaching hospital, anyone with a health concern visiting a teaching hospital for the first time will be directed to a department called the general outpatient (G.O.P). At the G.O.P., you will see a doctor who is either a medical officer (more of a general practitioner or a primary care physician than a specialist) or a family physician (a specialist in an area of medicine called family medicine which provides comprehensive health care for people of all ages and of both sexes). At the G.O.P department, the doctor will take a detailed medical history from you and carry out a basic physical examination on you. The findings will determine whether your condition can be managed there or it will require sending you to the appropriate medical specialty in the hospital. If it is the later–depending on what the condition is, the area of the body affected, whether you are male or female, and whether you are a child, a young adult or an elderly person–you will be directed to places in the teaching hospital such as Medical Outpatient clinic (M.O.P); Surgical Outpatient clinic (S.O.P); the gynaecology clinic, the children’s outpatient clinic (called CHOP in some teaching hospitals); the Ear, Nose and Throat and Eye clinic. Once you get to the appropriate outpatient specialist clinic in the teaching hospital, you will be required to open a case note, depending on the teaching hospital. The new case note will contain a note from the G.O.P describing their findings from the history you provided and the physical examination carried out on you and directed to the appropriate specialist. This case note is taken to any doctor in the specific specialty by nurses for a consult with the doctor. The consult usually entails taking a more detailed history from you and performing a complete physical examination with more emphasis on the body system your health concern is coming from. After this, the doctor will either recommend series of medical tests and investigations you must do and report back with the results at the next appointment, or the doctor will recommend you be admitted to the hospital ward for a closer, continuous monitoring, during which many relevant medical tests and investigations will be carried out on you, based on life-threatening findings he or she picked up from the history you provided or from the physical examination he or she carried out on you. For more advice and help, feel free to ask a Doctor on via The Reliance Care App.